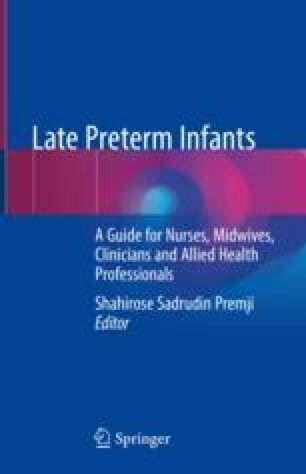 Late preterm infants (LPIs; 34+0–36+6 week’s gestational age) are the fastest-growing population of neonates. While LPIs may meet weight and size criteria for admission to postpartum units, they have hidden vulnerabilities that put them at increased risk for readmission to hospital following discharge. This chapter will focus on keeping the LPI out of hospital by identifying ways to take care of the LPI and their parents in the community including best practices related to discharge planning and recommended community follow-up. Breastfeeding challenges, a leading cause of readmission, will be addressed in Chaps. 6 and 7. With greater understanding of the vulnerabilities of LPIs, health-care practitioners can better educate and empower parents to care for their infant and create understanding of the importance for frequent follow-up potentially decreasing the need for readmission.